The spring thaw is finally underway in the northern tier and light geese have arrived in the Dakotas in significant numbers. 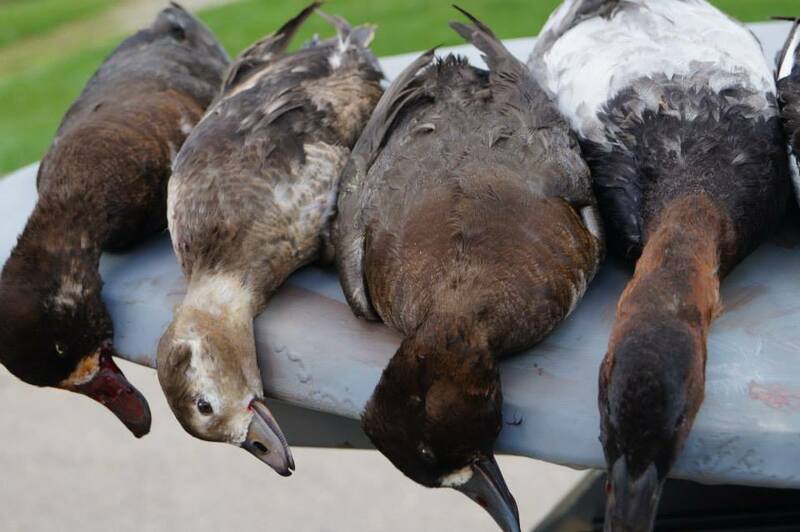 While some juvenile birds remain in parts of Nebraska and Iowa, light geese are another step closer to the 49th parallel and the return to their arctic breeding grounds. The spring migration is generally a hurry-up and wait process. Ducks and geese are in a hurry to return to the breeding grounds and they wait for a break in the weather to push northward. Canada geese and mallards, being more cold tolerant and stubborn, generally arrive in the south last and are the first to push north – arriving ahead of light geese. 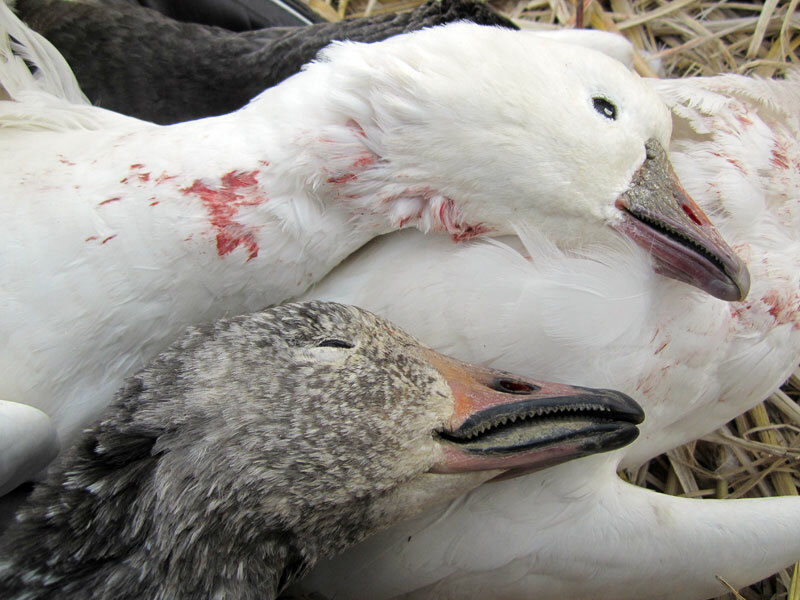 A quick glance at the Snow Cover and Surface Temperature maps provide and instant locator for Mid-Continental light geese in the Central and Mississippi Flyways. 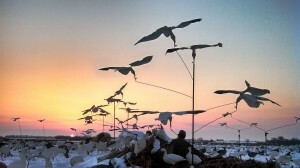 The burgeoning population of snow geese continue to stage below the snow and freeze as they await the spring thaw (like the rest of us) and the flight back to their nesting grounds. If you are a follower of sunspots and tidal charts, like the folks at Farmer’s Almanac, the bitter cold winter we’ve been experiencing thus far should come as no surprise. If you are a modern day meteorologist, who has succumbed to naming winter storms for branding purposes, the series of artic fronts are “shocking” news and good for ratings. If you are a dyed-in-the-wool duck hunter, it’s just weather – the kind of weather that moves ducks and geese in a big way. Winter storm Cleon ignites migration activity. 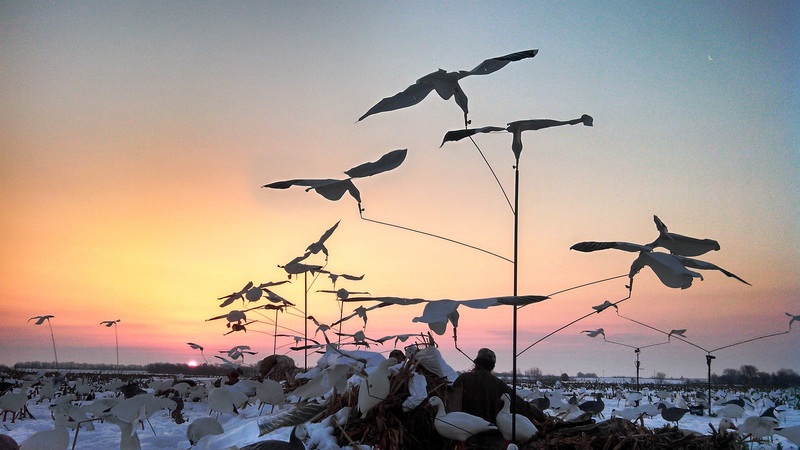 As arctic air pushes across the Great Plains into the Mississippi and Ohio Valleys, waterfowl activity is expected to increase significantly and reach peak migration levels throughout the Central and Mississippi Flyways throughout the week. 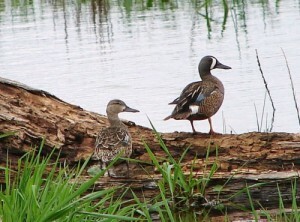 The near-record number of mallards resting along the Missouri River corridor in South Dakota are already on the move. Reports throughout the Central Flyway confirmed heavy migration activity in Nebraska, Oklahoma, Kansas and the Texas Panhandle. 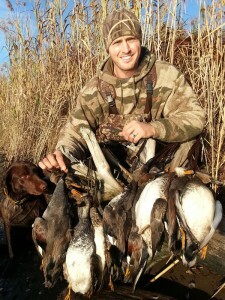 The mid-continental mallard population has begun to move down the Central & Mississippi Flyways. Mallard numbers in the Dakotas and northern Nebraska increased significantly over the past week, as well as numbers in Minnesota, Wisconsin and northeastern Iowa. Diver numbers in the Great Lakes region continued to rise from Lake Superior to western basin of Lake Erie. A quick glance at the NOAA snow cover map reveals the mystery behind our nation’s current migration status. Accumulative snowfall across the Canadian provinces has ignited the first push of mallards into the lower-forty eight states. While a number of storms did occur in the U.S over the past fourteen days, those storms occurred below the bulk of the mallard population and have since return to average/above average temperatures, which resulted in moving early migrants further south and very few northern birds to replace them. Colder temperatures prevailed across the northern tier of our nation this past week – igniting of a burst of migration activity for blue-winged teal and wood ducks. The unseasonably warm days of early October have transformed into blustery, cold winds, flurries and even snow accumulation in the Great Lakes region. While one would expect a full-on barrage of fresh migrants in the north, the temperatures have done little more than push early migrants south as the hardy ducks continue to trickle down the flyways. 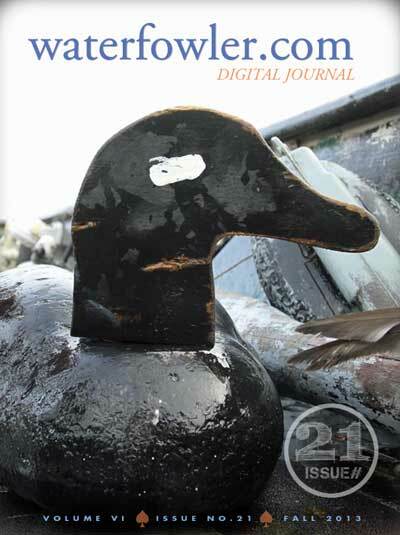 Waterfowler.com Journal Returns in 100% Digital Format. With only a few days remaining in the off-season, hunters across the nation are preparing for the official start of the 2013 Hunting season that begins on September 1st. 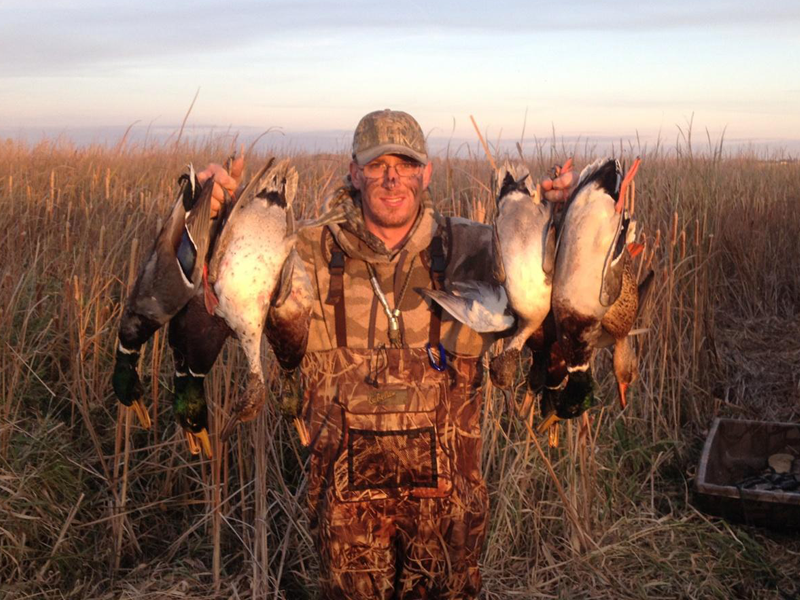 Dove and resident Canada goose season will open in many states this holiday weekend and the early teal season will follow in the coming weeks in portions of the Central and Mississippi Flyways. While temperatures across the nation remain ten to twenty degrees above normal for this time of year, the dog days of summer will soon give way to autumn temperatures and the first flights of teal as they begin their migration south. 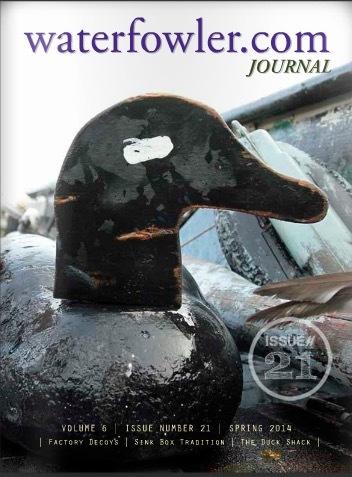 Waterfowler.com reminds our readers that membership at Waterfowler.com is now completely FREE and includes access to all interactive areas on the site. 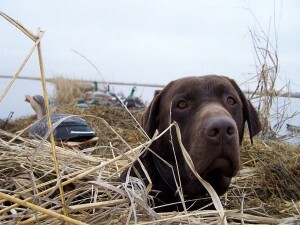 As we await the final publication of the 2013 Waterfowl Breeding survey hunters in the three flyways that offer an early teal season are expected to receive a bag limit increase from five to six teal and a possession limit increase from two times the daily limit to three. The proposal for the changes has been accepted by the service and the ruling is expected sometime in August after the public comment period.